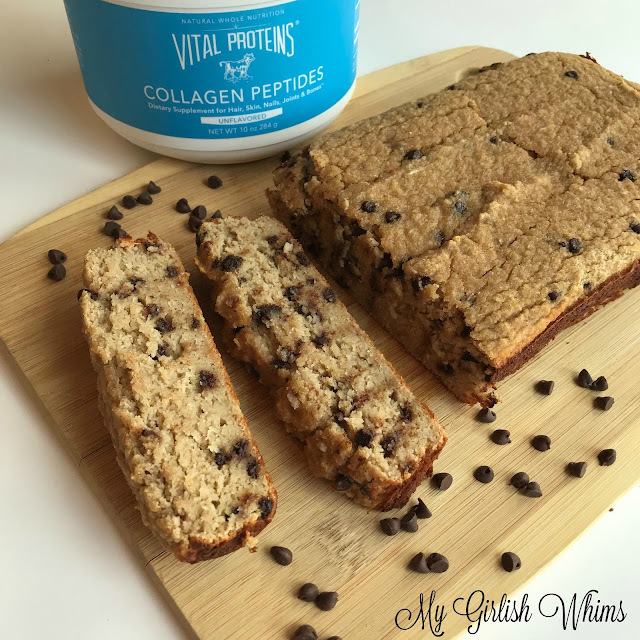 Thank you Vital Proteins for sponsoring this post so I can share the recipe for this healthy, high protein zucchini bread that includes so many added health benefits from the collagen baked inside of it! Whenever I think of chocolate chip zucchini bread, I think of basically every family holiday function EVER because my sweet old grandmom always brings the same two things to every get together: a bowl of fruit salad (that she oh-so-sweetly tailors to my EXACT fruit preferences. Aka: I hate blueberries and any melons so she will never put them in! Sorry to any of my other family members who like blueberries...) and chocolate chip zucchini bread. Her bread has always tasted AMAZING and I give myself some freedom to splurge during special family functions, so I always plan on having at least one slice whenever she brings it. That has been the ONLY time I ate zucchini bread though because typically it is made with lots of added sugar, butter and/or oil. So while yes: even though it is a dessert that sneaks a vegetable into it, it is still not always the healthiest option. I can finally start having zucchini bread more often though because I made a recipe for this bread that is not only low in fat and high and protein, but it also sneaks something else healthy into the recipe besides just zucchini: collagen! 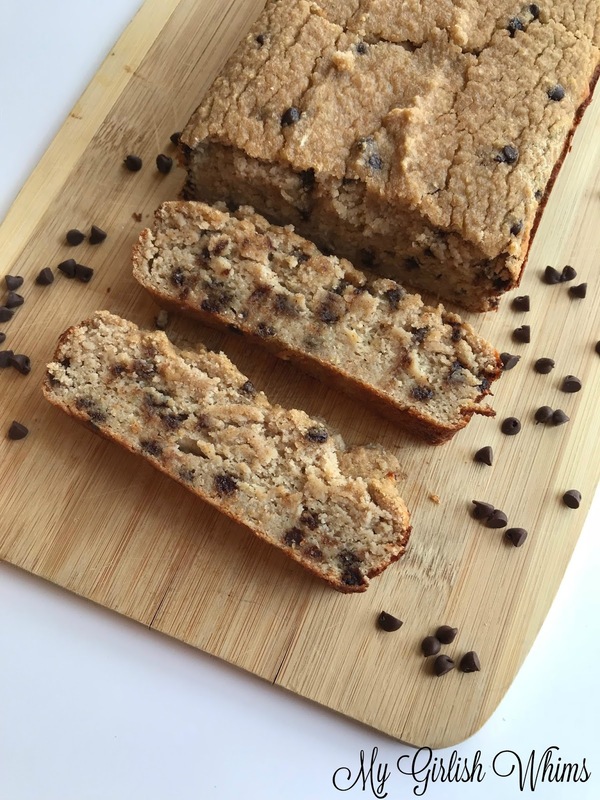 This yummy chocolate chip zucchini bread is baked with Vital Proteins Collagen Peptides which are sourced from grass-fed, pasture-raised bovine hides to add an extra kick of protein to this bread with all the other wonder benefits that collagen provides such as healthier hair, skin and nails and improved gut and joint health! 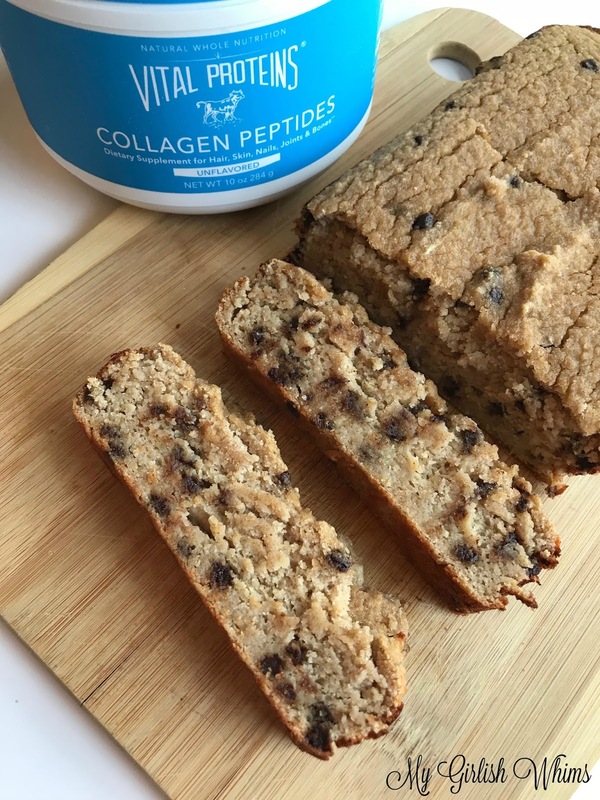 I am personally trying to incorporate more collagen into my diet to support healthier hair as I struggle with female hair thinning from genetics. This bread has been the perfect dessert for me to end my nights on track for my protein goals for the day while still supporting so many other aspects of my health. You can enjoy it plain since it is sweet from the chocolate chips baked into the bread, but it also tastes extra delicious with a little drizzle of chocolate or nut butter on top. I used wholesome ingredients in this recipe so it is actually gluten free, low in added sugar, and uses no oil at all! The bread stays super moist from the zucchini baked into it and uses vanilla greek yogurt in place of oil while adding some extra protein. Just a few tips for baking: if you cannot shred your zucchini fine enough using a cheese grater, you can always puree it in a food processor or even use an immersion blender to puree the liquid ingredients together a bit. Do NOT skip out on squeezing any excess moisture from the zucchini - you really need to get as much water out as possible to get the best texture for the bread. 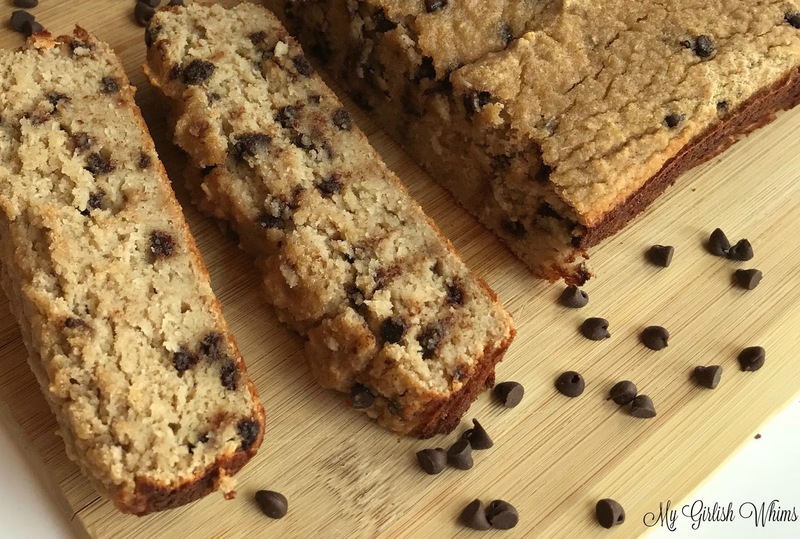 This recipe makes one loaf of 10 servings for 102 calories each with 18 grams of carbs, 2 grams of fat and 11 grams of protein each. 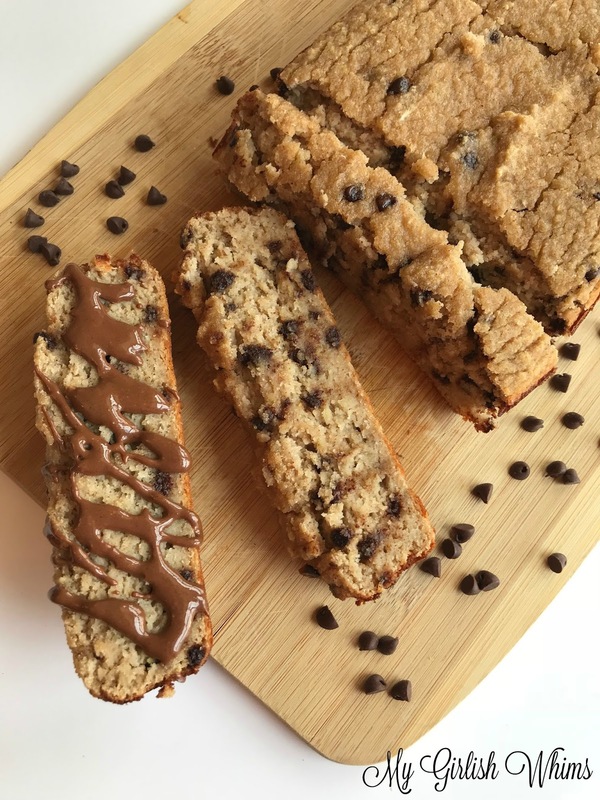 High protein chocolate chip zucchini bread packed full of collagen to promote healthier skin, hair, and nails!